Apple has debuted new processors in both of the last two iPads, so it's safe to assume that the iPad 3 will also get a new chip, probably dubbed the A6. But whether the A6 is a dual-core processor like this year's A5, or a quad-core processor, remains uncertain. A report in Korea Times suggests that Apple will go quad-core for the iPad 3, but Linley Gwennap, principle analyst for the Linley Group, thinks the A6 will be a more power-efficient dual-core processor. Editor's Note: Image of concept iPad (above right) is from Mac|Life magazine. The illustrator is Adam Benton. He created the image for a feature in Mac|Life's annual "Fauxtotypes" feature. This image was featured in the January 2011 issue of Mac|Life, as well as online. The other big iPad 3 feature that Apple watchers are hoping for is a "Retina" display, doubling the current iPad's resolution to 2048-by-1536. 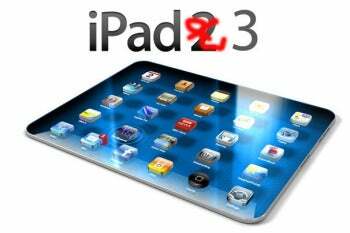 Citi analyst Richard Gardner is betting on a Retina display iPad 3 early next year, and DisplaySearch analyst Richard Shim, who at one point was a Retina display naysayer for the iPad 3, told CNet that production has begun. Not much is known about what the iPad 3 will look like, but Japanese blog Makotakara has cited unnamed sources in saying the next iPad will be thicker than its predecessor, possibly to accommodate the updated display. The site has also reported that the iPad 3 will have a smaller dock connector. Meanwhile, parts reseller TVC-Mall is now selling microphone cable replacement ribbons for the iPad 3, with a different design than earlier iPads, suggesting a "major redesign" according to Cydia Blog. Reports around the Web are saying that Apple is planning a smaller iPad in addition to the iPad 3, with a 7.85-inch display. DisplaySearch's Shim said Apple is showing interest in a smaller tablet, possibly for a late 2012 release. DigiTimes, citing "sources in the supply chain," also says a 7.85-inch iPad could arrive before the fourth quarter of 2012. The idea is to compete with smaller, cheaper tablets like Amazon's Kindle Fire. As with the iPhone 4S, release date predictions for the iPad 3 have been all over the place. DigiTimes says it's scheduled to launch at the end of the first quarter (March), while Citi's Richard Gardner thinks it'll launch in February. Linley Gwennap, however, thinks the A6 processor could hold Apple back, resulting in a June 2012 release for the iPad 3. Speculation about the next version of Apple's bestselling tablet has begun to abate somewhat, which means that rumor mongers have more or less reached accord on what they think the next-generation iPad will look like. Here's the consensus. There's little debate that the iPad 3 will have a drop-dead gorgeous display. Most Apple watchers agree that the 9.7-inch panel will be QXGA quality--2048 by 1536 pixels with 270 pixels per inch--and will carry the "Retina" name. To maintain that level of brightness, the tablet will have to incorporate two LED bars. Current iPads have only one bar. Since a tablet computer isn't much more than a screen, it seems a safe bet that Apple will be taking the iPad 3's display to another level to advance its position as the leader in the tablet market. A new processor is also certainly in the cards for the iPad 3. Competing products with very muscular chips will be appearing on the market this year, so the next-generation Apple slate will need more than just a pretty display to stay ahead of the pack nipping at its heels. Though observers agree that the new processor will be called the A-6, opinion diverges on whether it will be a quad-core chip or a souped-up dual-core offering. 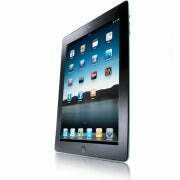 Since quad-core processors are becoming more and more common in mobile devices, though, it would be a letdown to many people if the iPad 3 turned out to be a dual-core product. The next iPad might use a 7-inch screen, but it might not. It might get released on Steve Jobs's birthday, but it might not. One thing we can be sure of, though: iPhones are used more for gaming than Android phones--or else they're not. The remainders can't make up their minds. One Wall Street analyst says that, despite the rumors, Apple won't release a 7-inch iPad Nano. Or a 7-inch iPod Touch Pro. Instead, this analyst predicts that Apple will drop the price of the iPad 2 to the mid-$300 range when the company releases the iPad 3. What this analyst won't say, but I'm boldly predicting here, is that the iPad 3 will move from a 10-inch display to a 10-foot one. You heard it here first. Speaking of rumors about unreleased Apple products, Boy Genius Reports... er.... reports that Apple may well be aiming to get the next iPad on store shelves by February 24, Steve Jobs's birthday. By Ben Camm-Jones, Macworld U.K.
Bloomberg reports that production of the device began this month and will reach full volumes some time in February, according to a source. The report, which focuses on claims made by three separate anonymous sources said to be "familiar with the product" also claims that the third-generation iPad will use a quad-core processor and support LTE (long-term evolution) networks. According to one source, Apple wants to put an LTE chip in the iPad before the iPhone because the larger device's more capacious battery will be better able to handle the power demands of the new chip. 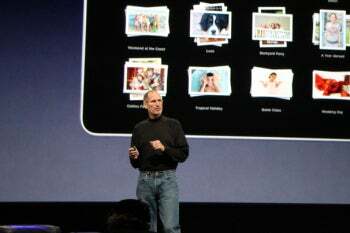 The display of the iPad 3 is also said to have a greater resolution than its predecessor, and is said to have "more pixels on its screen than some high- definition televisions". There is a better graphic processor, too, which means that videos will start playing almost "instantly", one source claimed.